Artsplash(TM) Is The Winner Of ABC's Hit Series, "The Toy Box" | Mattel Inc.
Artsplash(TM) Is The Winner Of ABC's Hit Series, "The Toy Box"
EL SEGUNDO, Calif., May 19, 2017 -- After eight weeks of viewing over 35 toy inventions the kid judges have spoken, and Artsplash™ (formerly known as Liquid Art) prevailed as the first-ever winner of ABC's "The Toy Box." Artsplash™ is now available for purchase online exclusively at Toysrus.com and will be available only at Toys"R"Us® stores nationwide beginning tomorrow, Saturday, May 20. Artsplash™ is a one-of-a-kind art set unlike anything on the market today. 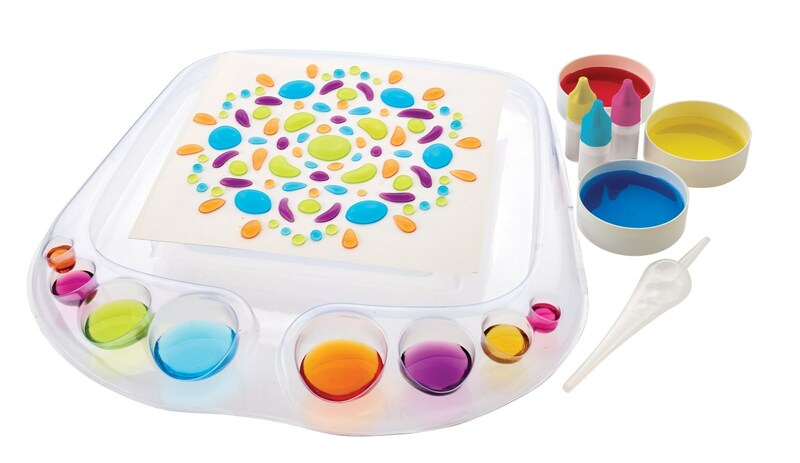 This new toy gives kids tools to create limitless 3D art with water by simply dipping the Aquapen into various colored dyes and then placing the colored water onto any of the six different Artsheets. When kids are finished they just wipe the Artsheet clean and start again. "Ever since I was young, inventing was my dream, and I created Artsplash™ to give kids a new way to create their own masterpieces, with something other than just a paint brush and paper," said Ryan Stewart, Winner of ABC's The Toy Box. "To be able see something I created on-shelf at Toys"R"Us is a childhood dream come true." "For seven weeks I have seen everything from candy cannons to dolls with wigs!" said Eric Stonestreet, host of ABC's The Toy Box. "Artsplash™ is something I would have loved to have as a kid. I think parents and kids will enjoy playing and creating with Artsplash™ together." ABC, Mattel and Hudson Media developed "The Toy Box" to give audiences across the country a sneak peek into the world of toy invention. "The Toy Box has given us a new way to connect with talented inventors and celebrate the creativity and innovation it takes to make a toy." said Richard Dickson, President and COO, Mattel. Over the course of the series, inventors presented their toy concepts to a group of mentors that included Dylan's Candy Bar owner Dylan Lauren, toy guru Jim Silver and Pixar Creative Director of Consumer Products Jen Tan. Once the toy maker made it past the mentors, they moved on to The Toy Box where a panel of young, no-holds-barred judges that included Sophia Grace Brownlee ("The Ellen Degeneres Show"), Aalyrah Caldwell ("Uncle Buck"), Toby Grey ("The Unexpected John Cena Prank") and Noah Ritter ("The Ellen Degeneres Show") decided which toy would move on to the finals and be crowned the winner. After deliberating over the finalists, the judges selected Liquid Art, now known as Artsplash™, as the grand prize winner. "When Mattel came to us about 'The Toy Box,' we knew it was a winning idea and that Toys"R"Us was the only retailer who could help make Ryan's dream a reality," said Richard Barry, Executive Vice President and Global Chief Merchandising Officer, Toys"R"Us and Babies"R"Us. "Fans of the show will be excited to find Artsplash™, Ryan's imaginative, original toy concept, in our Hot and New feature shop – at the front and center of all Toys"R"Us stores – when we open our doors tomorrow morning." Artsplash™ is now available at online exclusively at Toysrus.com and will be available for purchase at all Toys"R"Us stores nationwide beginning tomorrow. For more information on ABC's "The Toy Box," and the winning toy visit http://abc.go.com/shows/the-toy-box. Mattel is a creations company that inspires the wonder of childhood. Our mission is to be the recognized leader in play, learning and development worldwide. Mattel's portfolio of global consumer brands includes American Girl®, Barbie®, Fisher-Price®, Hot Wheels®, Monster High® and Thomas & Friends™, among many others. Mattel also creates a wealth of lines and products made in collaboration with leading entertainment and technology companies. With a global workforce of approximately 32,000 people, Mattel operates in 40 countries and territories and sells products in more than 150 nations. Visit us online at www.mattel.com. Disney|ABC Television Group is comprised of The Walt Disney Company's global entertainment and news television properties, owned television stations group, and radio business. This includes ABC Studios, a global leader in the development, production and distribution of entertainment content across broadcast, cable and on-demand platforms; the ABC Owned Television Stations Group; and the ABC Television Network, which provides entertainment and news programming to viewers via more than 200 affiliated stations across the U.S. 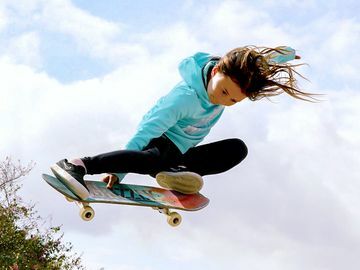 It also includes Disney Channels Worldwide, a portfolio of 116 kid-driven, family-inclusive entertainment channels, including Disney Channel, Disney XD, Disney Junior, Disney Cinemagic, Hungama, and Radio Disney brands, as well as cable network Freeform, which targets Millennials. Disney|ABC Home Entertainment and Television Distribution and Disney Media Distribution round out the portfolio. Disney|ABC Television Group also has equity interests in A+E Networks and Hulu. Artsplash™ Is The Winner Of ABC's Hit Series, "The Toy Box"